Joseph Davis is the Professor of Information Systems and Services at the School of Information Technologies, the University of Sydney. 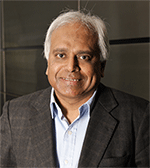 He is the Director of the Knowledge Discovery and Management Research Group and theme leader for service computing at the Centre for Distributed and High Performance Computing at Sydney. His primary research interests include service computing, knowledge management including ontologies, semantic web, and human computation. He has previously held faculty positions at the University of Wollongong, Australia, University of Auckland, New Zealand, and Indiana University Bloomington, USA, and served as Visiting Professor/Research Scientist at Carnegie Mellon University, Pittsburgh, University of Pittsburgh, Pittsburgh, Syracuse University, Syracuse, and IBM Research Labs (India). 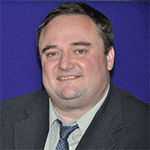 He has a PhD in Information Systems from the University of Pittsburgh, Pittsburgh, USA. Harnessing human computation through crowdsourcing and its integration with machine computation has emerged as an important research focus and new venture activity in recent years. I will present the conceptual foundations of crowdsourcing and develop a taxonomy of crowdsourcing applications. My primary focus will be on crowdsourcing of human computation through micro-task platforms such as Mechanical Turk and CrowdFlower which have organised million-strong, global, on-demand workforces. Ongoing crowdsourcing-related research at key research centres worldwide and the Knowledge Discovery and Management Research Group that I direct will also be discussed. Topic : Power-Efficient and Reliable Network-on-Chips (NOCs)�For Future Multi-core Architectures. Today�s chip designers have resorted to increasing the�number of cores per die as a power-efficient approach to performance�improvement,�leading to the Chip Multiprocessors (CMPs) or��the multicore era.��Both industrial and academic roadmaps project�that�hundreds to thousands of�general-purpose�tera-op CMPs will be needed within a decade�in order to�satisfy the nation�s needs for�high-performance computing. This talk will highlight these design challenges and provide several viable solutions that optimize performance, power and reliability using architectural innovations as well as a synergistic mix of emerging interconnect technologies. 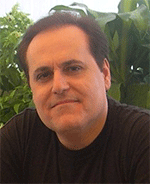 ALBERT Y. ZOMAYA is currently the Chair Professor of High Performance Computing & Networking and Australian Research Council Professorial Fellow in the School of Information Technologies, The University of Sydney. He is also the Director of the Centre for Distributed and High Performance Computing which was established in late 2009. Professor Zomaya held the CISCO Systems Chair Professor of Internetworking during the period 2002�2007 and also was Head of school for 2006�2007 in the same school. Prior to his current appointment he was a Full Professor in the Electrical and Electronic Engineering Department at the University of Western Australia, where he also led the Parallel Computing Research Laboratory during the period 1990�2002. He served as Associate�, Deputy�, and Acting�Head in the same department, and held numerous visiting positions and has extensive industry involvement. He is the author/co�author of seven books, more than 450 publications in technical journals and conferences, and the editor of 14 books and 19 conference volumes. He is currently the Editor in Chief of the IEEE Trans. on Computers and serves as an associate editor for 20 other journals. He is the Founding Editor of the Wiley Book Series on Parallel and Distributed Computing and the Co�Editor of the Wiley Book Series on Bioinformatics and the Wiley Book Series on Nature Inspired Computing. He is the Editor�in�Chief of the Parallel and Distributed Computing Handbook (McGraw-Hill, 1996). 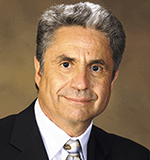 Professor Zomaya was the Chair the IEEE Technical Committee on Parallel Processing (1999�2003) and currently serves on its executive committee. He also serves on the advisory board of the IEEE Technical Committee on Scalable Computing, the advisory board of the Machine Intelligence Research Labs, is a scientific council member of the Institute for Computer Sciences, Social�Informatics, and Telecommunications Engineering (in Brussels) and member of the board of the IEEE Systems, Man, and Cybernetics Society Technical Committee on Self�Organized Distributed and Pervasive Systems. Professor Zomaya has delivered more than 130 keynote addresses, invited seminars, and media briefings and has been actively involved, in a variety of capacities, in the organization of more than 600 national and international conferences. Professor Zomaya is a Fellow of the IEEE, a Fellow of the American Association for the Advancement of Science, a Fellow of Institution of Engineering and Technology (U.K.), a Distinguished Engineer of the ACM and a Chartered Engineer (CEng). He received the 1997 Edgeworth David Medal from the Royal Society of New South Wales for outstanding contributions to Australian Science. He is also the recipient of the IEEE Computer Society�s Meritorious Service Award and Golden Core Recognition in 2000 and 2006, respectively. Also, he received the IEEE TCPP Outstanding Service Award and the IEEE TCSC Medal for Excellence in Scalable Computing, both in 2011. His research interests are in the areas of parallel and distributed computing and complex systems. Topic : Adaptable Resource Allocation in Cloud Computing Systems. Cloud Computing is among the fastest growing topics in computing research today. Although the idea of offering computational power as a service is not novel, it did not publically become available before Clouds. Clouds are fundamentally different from their predecessors (Grids/Clusters) and thus require specific expertise to be properly utilized. Today, there are literally hundreds of cloud providers in all shapes and sizes. Computing needs (applications) have also become increasingly diverse. In this talk, I will describe challenges with the dynamicity and heterogeneity of resources and the diversity of applications from resource management perspective. Then, I will discuss how we can turn these challenges into opportunities for cloud systems� efficiency. Cloud computing is definitely the way to go. What are the new security requirements in the context of cloud computing? Would you trust another company to host your IT and their other customers sharing the same hardware? The presentation intends to highlight the challenges of cloud computing in terms of security and confidentiality issues. Current systems limitations will be described as well as compliance issues to security and auditing standards. Finally new generations of hardware and software based solution based on crypto-chips, ARM processors and new security protocols and services will be introduced.